Designed for high horsepower cars, these M&H Racemaster slicks are perfect for an alcohol or nitro burning dragster, funny car or altered. They feature M&H Tires popular #8 compound and very large dimensions to ensure a huge contact patch and plenty of sidewall flexibility. All three size options feature a 17-inch tread width, but various diameters allow racers to fine tune their combination. 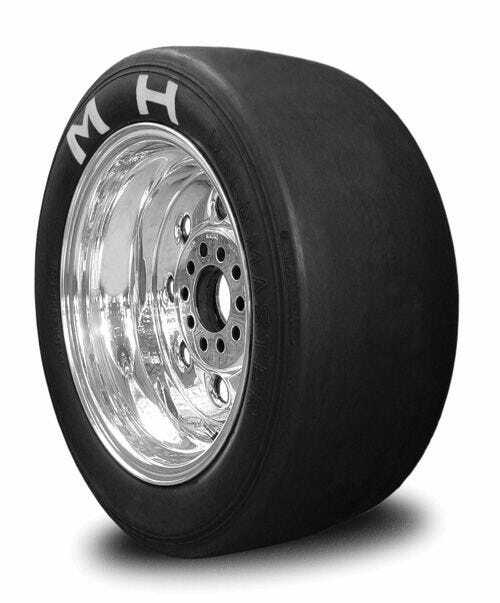 M&H Slicks are favorites of racers around the world who depend on their performance and traction. Made in USA! M&H Slicks are available in Softer #8, Medium #HB11 and Harder #704 compounds from Coker Tire Company.